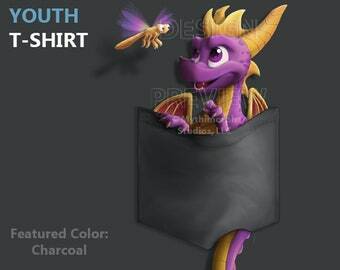 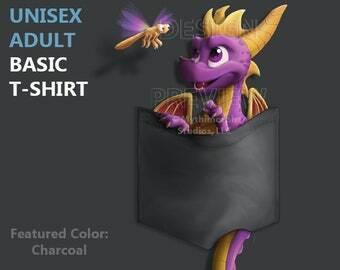 Who wouldn't want to carry around a little purple pal in their pocket?! This highly detailed, original illustration features a cute dragon with a dragonfly, tucked away inside a shirt pocket illusion. Artwork created by Riley Michelle Carbaugh of Mythimorph Studios, LLC. 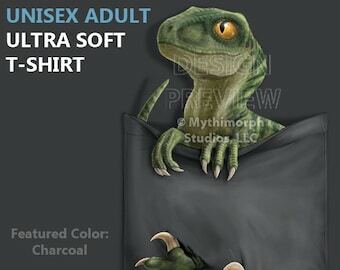 Your purchase will be handled directly by the owner of this shop, who is also the original artist responsible for creating this design; thank you for choosing to support legitimate T-shirt sources and help put a stop to mass design theft online. 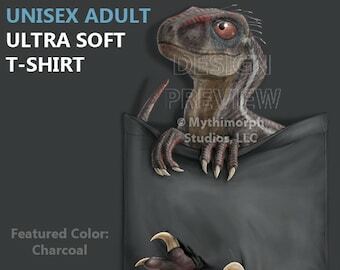 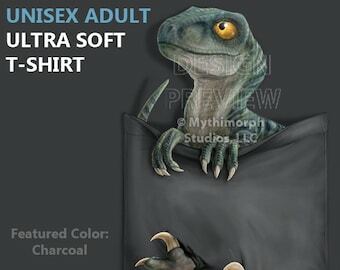 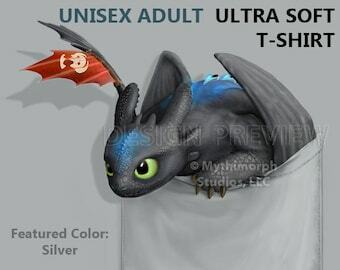 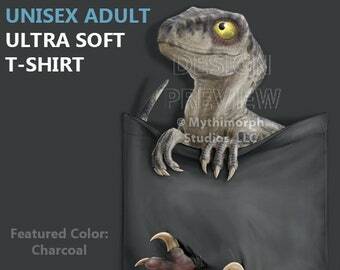 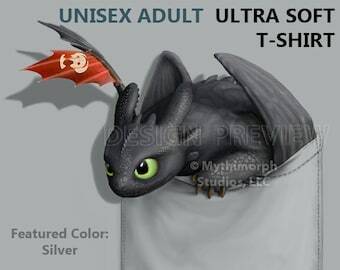 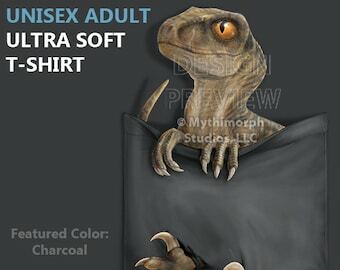 Normal unisex adult fit; size chart is shown above in the last photo. Currently comes in Charcoal (default), Mix Grey, Silver, Ice Blue, White, and Navy*. Note that Navy is an experimental color as it is darker than the black ink so the drop-shadow and pocket effect is not as visible as it is on other colors. 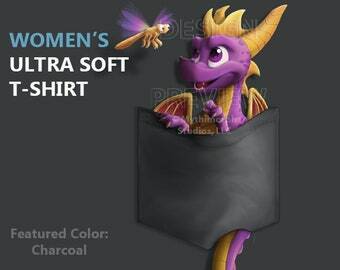 Sizes 3XL-6XL can be found under basic shirts only, not available in ultra soft. 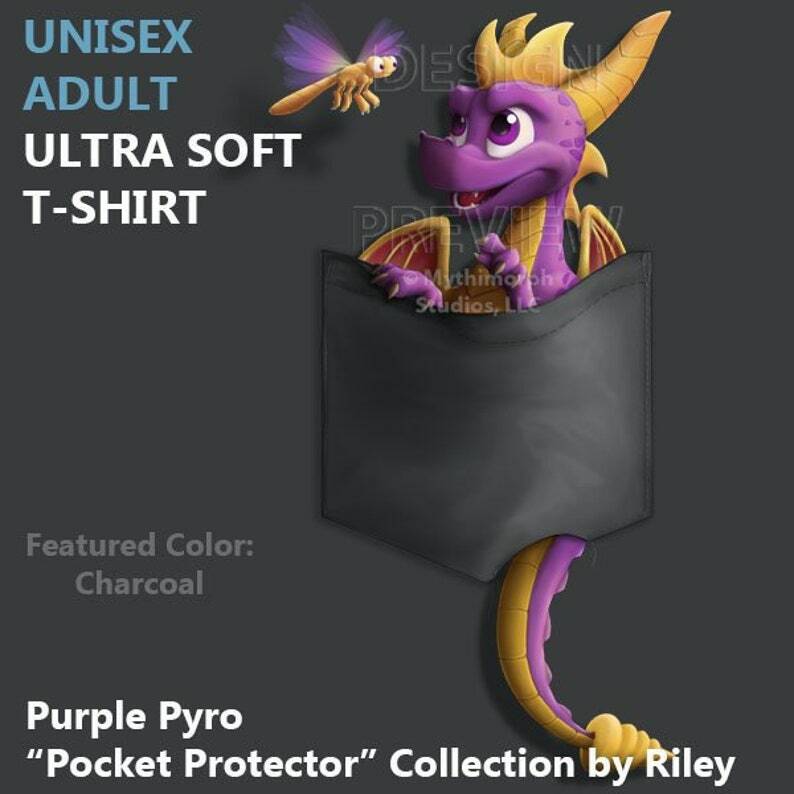 Youth T-Shirt: Purple Pyro "Pocket Protector"
Adult Basic T-Shirt: Purple Pyro "Pocket Protector"
Very nice T-shirts, very good print quality.